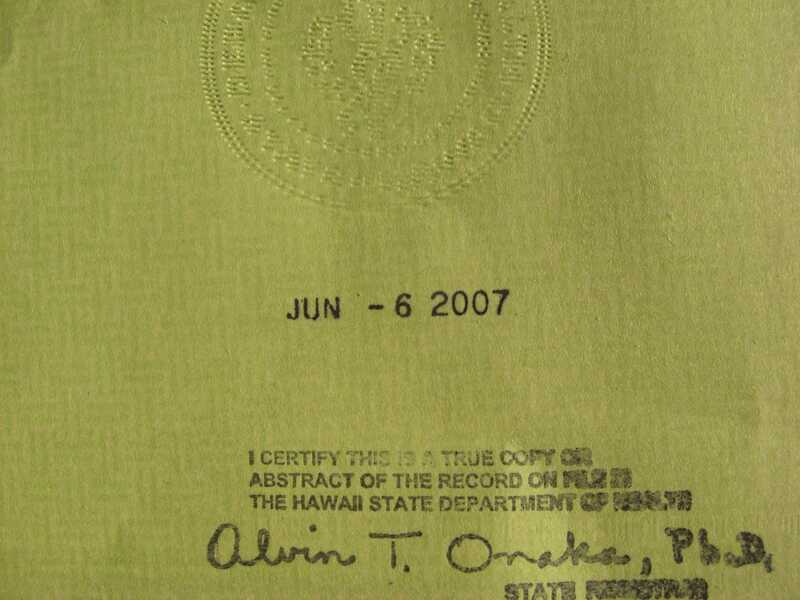 In 2007, Hawai­ian offi­cials sent Oba­ma his proof of birth doc­u­men­ta­tion in the only form they have issued in this cen­tu­ry. It is a doc­u­ment called a “Short form birth cer­tifi­cate (SFBC), a “Cer­tifi­cate of Live Birth” or COLB for short. Post­ing an image online is the eas­i­est, most effi­cient way of get­ting infor­ma­tion out to the pub­lic these days, so the Oba­ma cam­paign post­ed a scan of his COLB online in June 2008. The best pic­tures are at FactCheck.org. That orga­ni­za­tion sent a team to pho­to­graph the doc­u­ment after Oba­ma, on cam­paign at the time, invit­ed reporters to come inspect it. 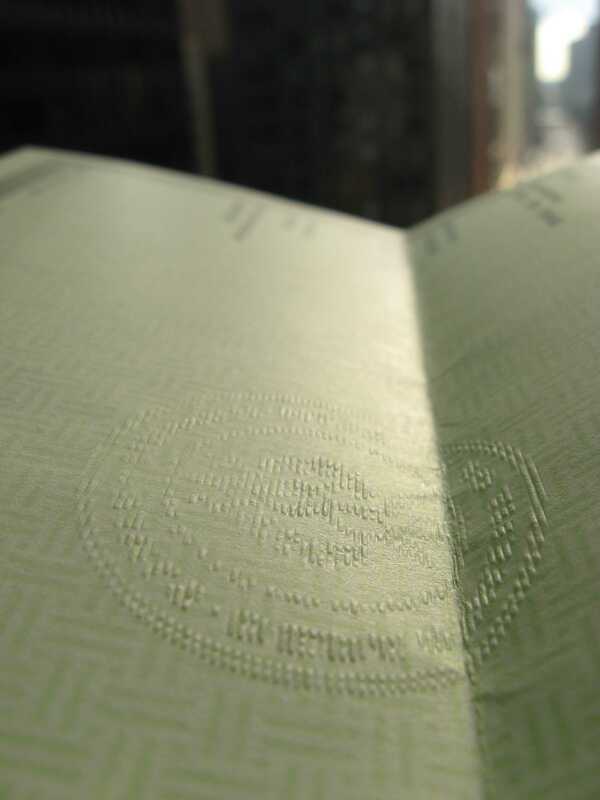 You can enlarge the images to see details such as the raised seal, Sig­na­ture stamp, folds, num­ber, etc. 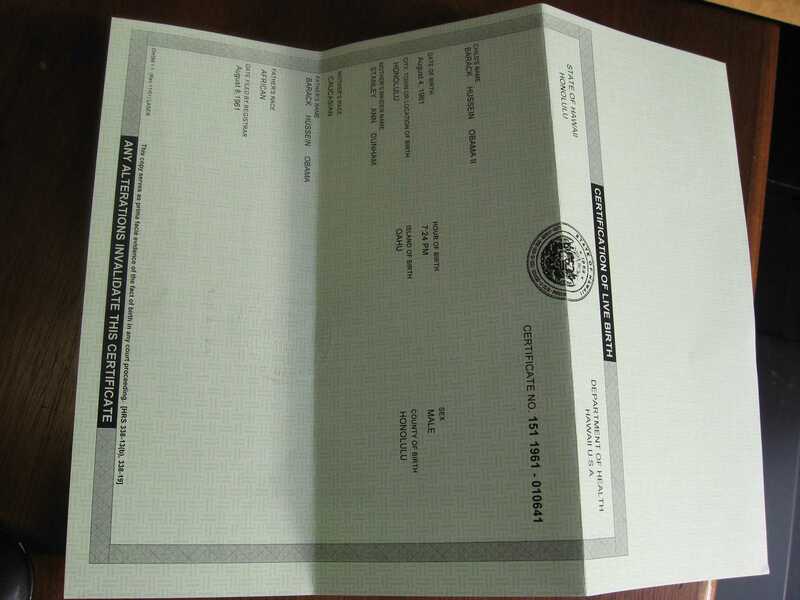 It is a real doc­u­ment issued in 2007. It looks like most birth doc­u­ments do these days. Below is a slideshow of the nine pho­tographs of the COLB tak­en by FactCheck. The Depart­ment of Health in Hawaii has released an index list­ing for Obama’s birth. The birth index entry was cre­at­ed when the orig­i­nal birth cer­tifi­cate was final­ized. 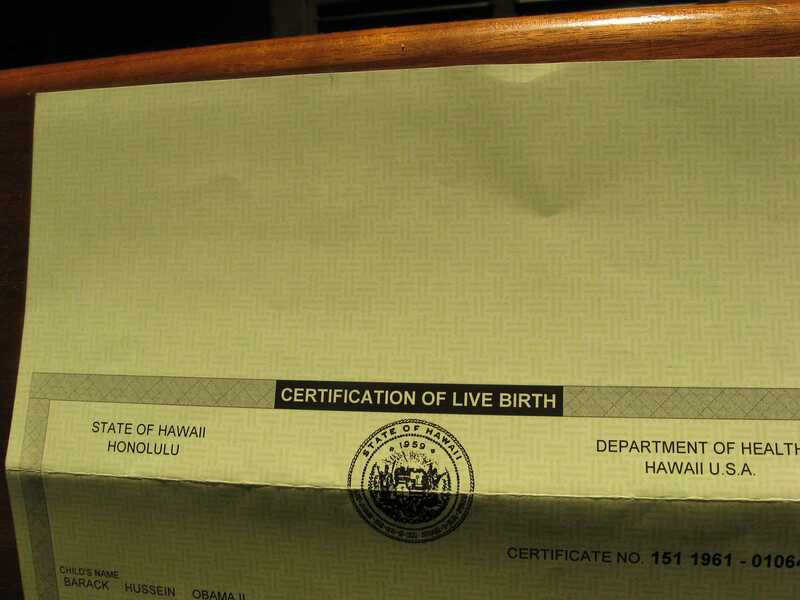 Hawai­ian offi­cials have said that they they looked at Obama’s birth record and he was born in Hawaii. That, plus the birth doc­u­ment post­ed online at Factcheck.org, has been enough for every­one but a few con­spir­a­cy the­o­rists. As soon as the COLB was released, blog­gers claimed that it was a pho­to­shopped fake. Here’s an exam­ple of one debunk­ing: analy­sis of about the COLB being pho­to­shopped. The Hawaii Dept. of Health main­tains a web page devot­ed to Obama’s birth cer­tifi­cate FAQ here.